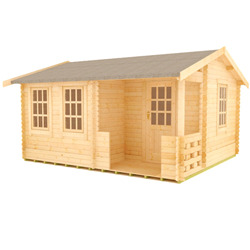 Our range of log cabins for sale are available in a multitude of sizes, with the choice of 19mm, 28mm, or 44mm thick logs. 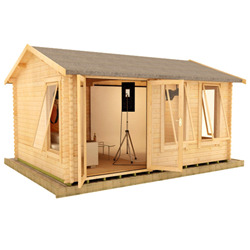 Whether you’re looking for a room to entertain, an outdoor office, a bar or an elegant chalet, our garden cabins are the ideal choice. 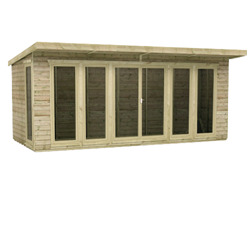 With buildings suitable for year-round use, as well as summer log cabins for warmer days, our premium quality products will be a stunning addition to any outdoor space. 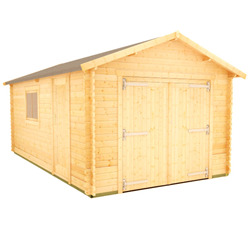 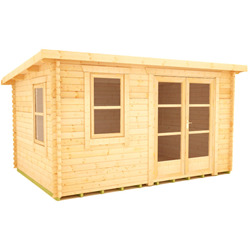 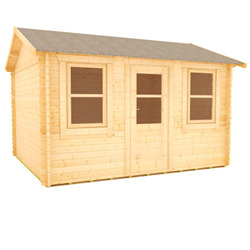 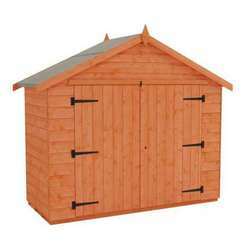 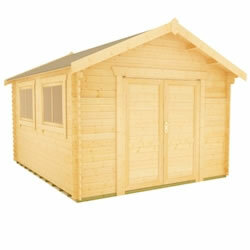 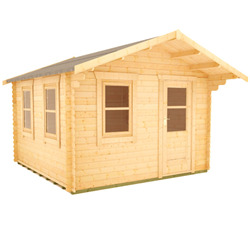 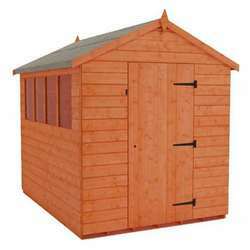 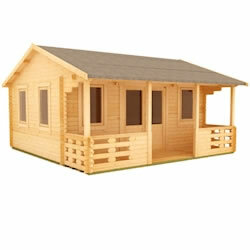 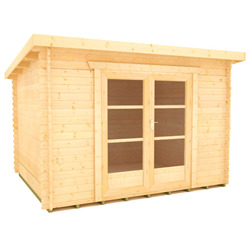 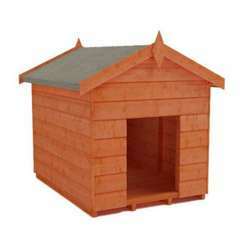 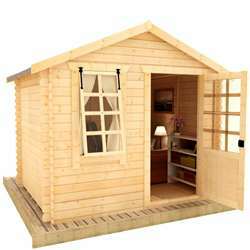 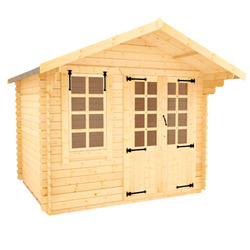 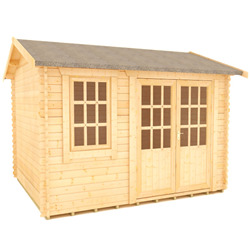 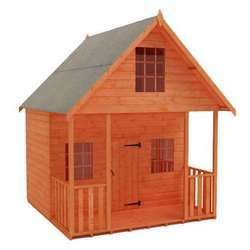 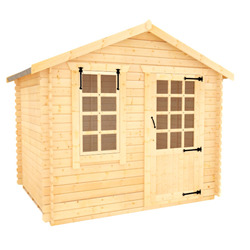 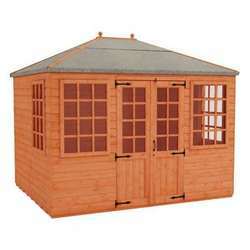 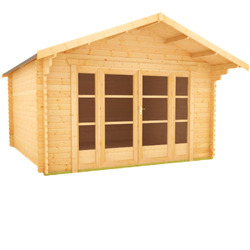 Our stylish log cabins are ideal for making the most of your garden. 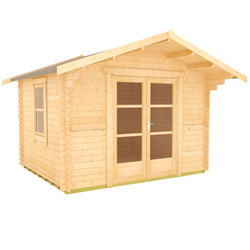 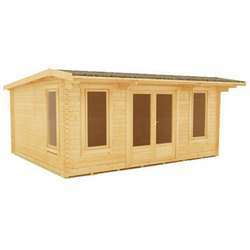 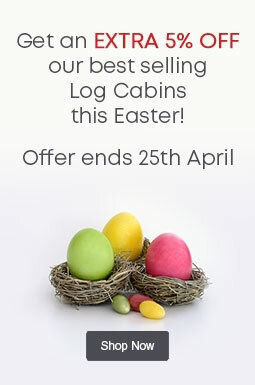 Whether you're looking for a large or small log cabin, we have many sizes available to fit your needs. 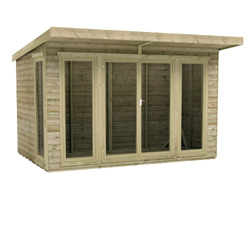 With an unbeatable range of styles, you can choose from traditional or contemporary designs to find your perfect building - either as a centrepiece for your garden or tucked into a corner to maximise space. 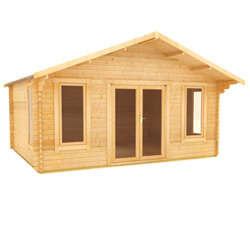 Manufactured from high grade, slow-grown timber for excellent durability, our log cabins are built to last. 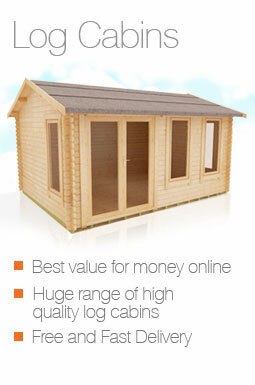 Log cabins are a great way to increase the potential of your garden. 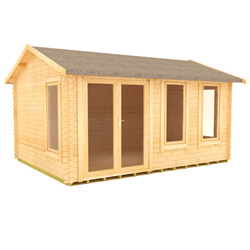 We have buildings that are ideal for relaxing and entertaining, as well as garden offices perfect for catching up on work or running a business. 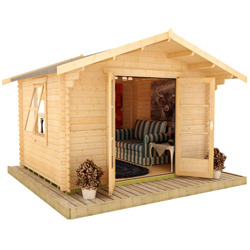 The premium quality, craftsmanship and beautiful appearance of our log cabins willl make any building a much-loved feature of your garden for years to come. 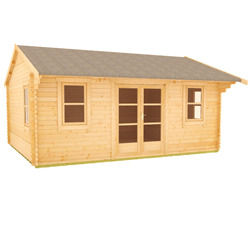 Our range of log cabins includes single door and double door models with a variety of window styles which can be changed to your preference. 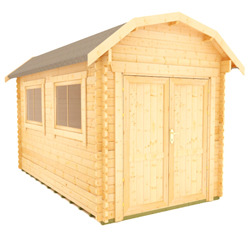 Most of our buildings can be made bespoke to your requirements, so give us a call on 0113 205 4189 and our friendly sales team will be happy to help.